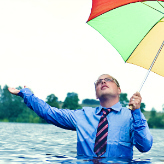 Having a Business Continuity Plan (BCP) is great, but only if you know when it needs to be invoked. If you don’t know when it should take effect, then you might as well not have one at all. While a lot of business owners might believe it is pretty obvious when a BCP needs to be invoked, the process is not always so cut and dry. So let’s run through a few situations that might require your company to put its BCP into action.